LLP Cycle Value Calculator – Free. Fast. Simple. 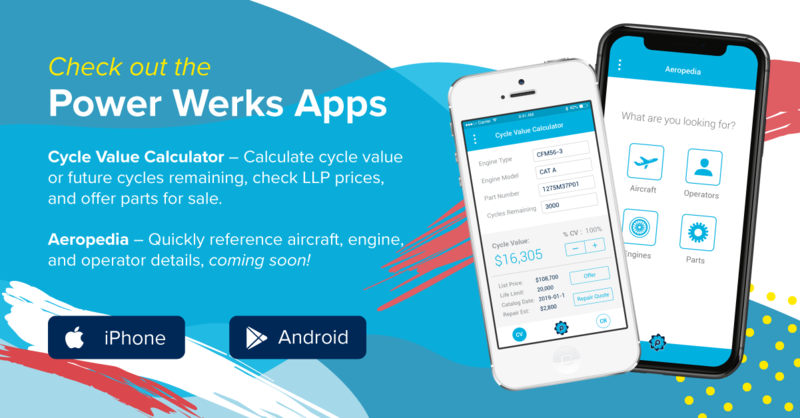 | Aviation Products | Power Werks, Inc.
Home » Consulting Services » Asset Management » LLP Cycle Value Calculator – Free. Fast. Simple. LLP Cycle Value Calculator – Free. Fast. Simple. If you work with jet engine LLPs, this calculator is for you! Calculate cycle value and cycles remaining, estimate repair costs, check current list prices, and offer parts for sale to Power Werks. This app is available for free on the Apple and Google Play stores. Download today!